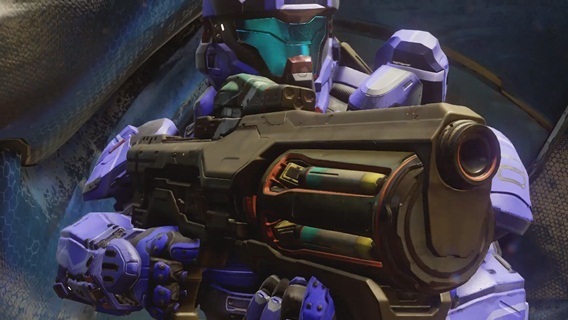 Halo 5: Guardians supports you in your search for the truth about with new weapons. The blood traitor struggling with their light guns, while the alliance makes use of their energy weapons / word. In turn the UNSC soldiers use their sniper and assault rifles. Our guide is designed to give you an overview of all weapons. The following list shows you the UNSC soldiers’ weapons which are known from the beta version. - MA5D assault rifle: automatic assault rifle with 32 shot and medium range. - BR85HB SR Battle Rifle: 3-shot burst-precision self-loading rifle with 36 shot and a long range (2.0x telescopic sight). - M6H Magnum: Semiautomatic handgun 8 shot (+1 in the course) and a short to medium range (KFA-2 riflescope). - M395 DMR: Semi Automatic Precision Automatic Rifle with 14 rounds) and a short to medium range (digital sighting telescope). - M7 submachine gun: Fully automatic machine pistol with 60 rounds and a short to medium range. - SRS 99-S5 AM: Semi-automatic sniper rifle with 4 shot and a medium to high range (digital sighting telescope). - Hydra MLRS: Fully automatic with 6 rocket launchers and long-range shot. - M41 SSR MAV / AW Bazooka: Semi-automatic rocket launcher with 2 shots and a long range. The following list shows you the Alliance weapons which are known from the beta version. - Type-1 Energy Weapon/Sword: Plasma energy weapon with 100 battery charges (10 per bat) and a range of 90cm. - Prophet’s Bane: Plasma energy weapon with 100 battery charges and a range of 90cm. The following list shows you the Forerunner weapons which are known from the beta version. - Z-250 light gun: Semi-automatic distance-power rifle with 144 shot (4 magazines), a 3-shot mode and an average range.